It’s no easy task pulling kids away from their tablets and consoles - but with summer coming decking out your garden with some great outdoor toys and games might just lure the little hermits out. Let's face it, the children of today are pretty much hardwired into the virtual world and that’s no bad thing if done in moderation. However, sitting around for hours at a time, staring at a screen is not doing their physical health any favours. They need to get out a little more. To help, we’ve scoured the net for the most appealing collection of ultra-cool gear to help entice the little ones back into the great outdoors. All you need to do is dip in and choose your weapon. In the pantheon of palm-sized toy drones, the aerobatic Parrot Mambo is the grandmaster of stability. Where most small drones are impossible to fly without crashing into walls, ceilings and trees, this one uses proximity sensors to help it stay aloft and rock steady in flight. Despite its diminutive size, it’s a great drone for outdoors, too, though bear in mind that wind will cause it to drift, so best choose a wide space. 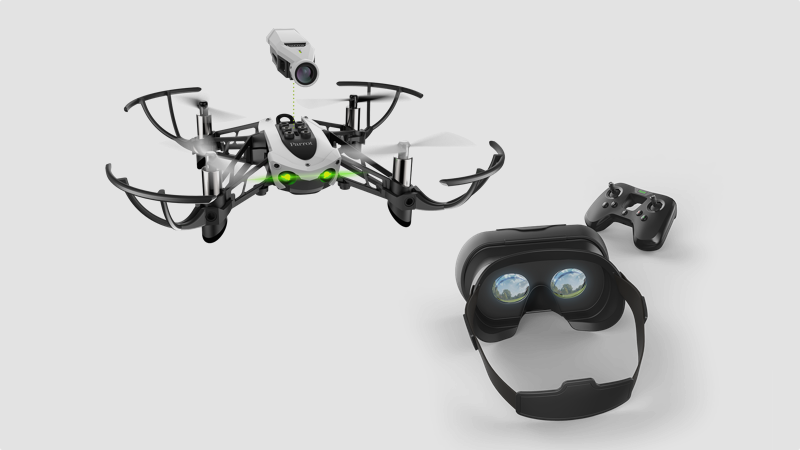 The Mambo is available in two variants: the Mission, which comes with a Flypad controller, a mini cannon and a grabber, and this FPV version, which ships with a Flypad, goggles and a clip-on 720p camera. To use it, simply clip an iPhone or Android phone into the goggles, launch Parrot’s excellent FreeFlight app, put the goggles on (the phone’s screen magically snaps into focus) and fly the Mambo in first person view. Granted, the visuals streamed from camera to phone aren’t especially crisp but they’re perfectly clear enough to navigate by. Once your kid’s mastered the art of FPV flying, he or she can then progress to a proper FPV racer, join a club and start taking part in a wide variety of adrenaline-charged drone racing events. The sun’s shining, the wind’s up – let’s go fly a kite. There are numerous kite designs on the market but for sheer thrills, nothing competes with the exhilarating tug of a four-line parachute-style power kite. 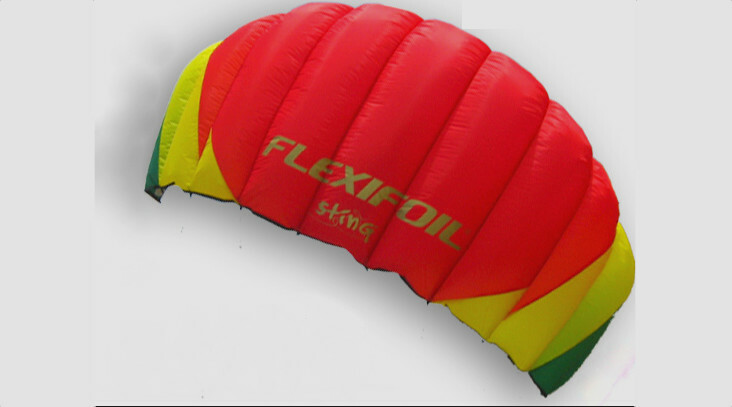 Flexifoil’s Sting is the ideal entry-level, four-line stunt kite for youngsters aged eight and up. The 1.2m wide Sting comes with two 18-metre lines attached, via a bridle system, to the kite’s leading edge. A further two brake lines that are affixed to the rear of the kite to help control the amount of pull when the kite’s caught by the wind. All four lines are attached to a pair of handles. Unlike an ordinary single-line kite, this one can be swooshed around the sky, swirled around in circles or swept in a low 160-degree arc inches off the ground. Rest assured the tug it generates will have your sprog grinning for hours. And you, too, once you’ve had a go. Model rocketry is nothing new but it’s still one of the most spectacular of outdoor pursuits and one that will appeal to both kids and adults. 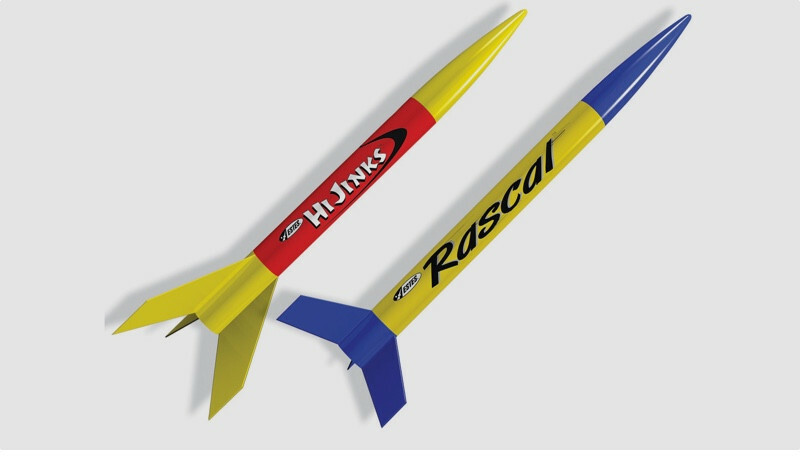 Model rockets use disposable firework-style solid fuel engines that propel them at speeds of up to 350mph to a height of around 1,200 feet. A secondary ejection charge then blows a folded parachute out of the nose cone so the rocket body can gently float back down to earth to be used again. Estes is a leader in this field and this beginners’ set is a great place to start. It comes with two 14-inch rockets and everything you need to get airborne straight away. This includes a launch pad and rod, a battery-powered push-button launch controller, a pack of three motors, four AA batteries and some wadding to protect the parachute inside. You don’t need a massive amount space to fly rockets (the local park will do) but bear in mind that wind will make it drift while it’s on its way back down. If your kids are bored with their PlayStations and iPads, introduce them to this great outdoor hobby – you never know, it might even spur your youngster into becoming an aspiring rocket scientist. Cast your mind back to the era before digital cameras were invented. You bought your child his/her very first camera and what did they do with it? Yes, they used up the entire roll of Kodak film in about two minutes. They then asked you to have the film developed at a cost of around £12. The resulting prints contained nothing but feet, the dog’s eye and some grass. So you put the camera in the drawer and the photos in the bin – and that was the end of that. Fast forward to today and any digital camera you buy for your kid will be completely free to use – they could shoot as much grass and out-of-focus feet as they want, with zero cost to you. The Kidizoom action model from Vtech is a case in point. This robust snapper records low-resolution video that’s perfectly suitable for little ones and takes decent stills that can be edited in-camera using a range of photo effects. It even features a stop-motion and time-lapse function. 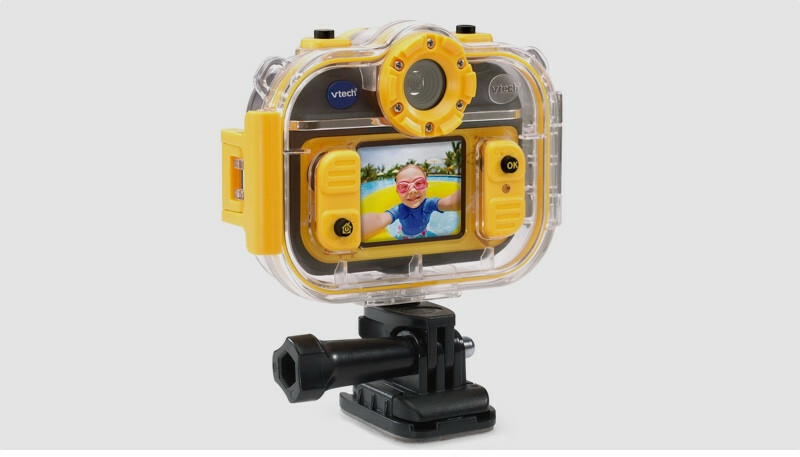 The camera itself comes with a small rear screen, a rotating lens for selfies, a waterproof case for sub-aquatic use, 128Mb of internal memory, a MicroSD slot for extra storage and a range of mounts for bicycles, skateboards, etc. If you’re looking for something creative to keep the little ones occupied, then step right this way. If you have a garden big enough, consider installing this sturdy geometric climbing frame from the house of Plum. It’s the perfect way for children to develop hand-eye co-ordination and improve strength and general agility. It’ll also provide hours of imaginative fun. The galvanised steel frame itself is painted with a protective powder coating to ensure it remains rust free. It also comes with a slippery slide for those who make it successfully to the top. 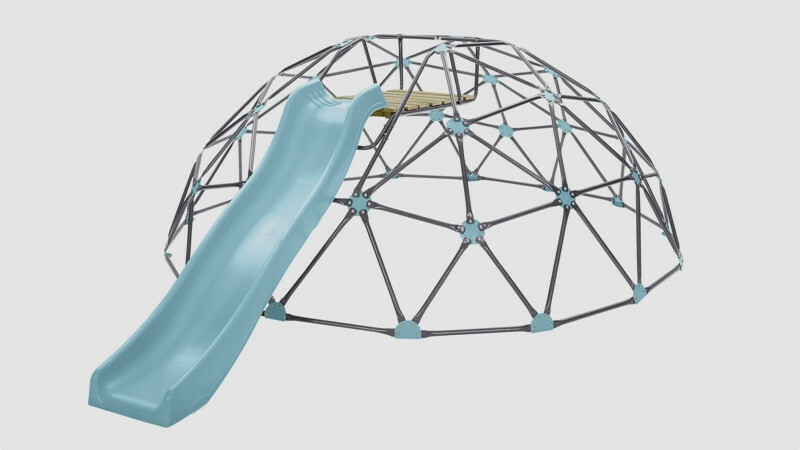 The Climbing Dome measures 1.12m x 3.65m x 2.80m so ensure you have at least five metres of square space to accommodate it. You’re also advised to place some rubber matting beneath it if locating it on a hard surface. But you can be sure that if you build it, they will climb. Puma Have Teamed Up With Barbie!